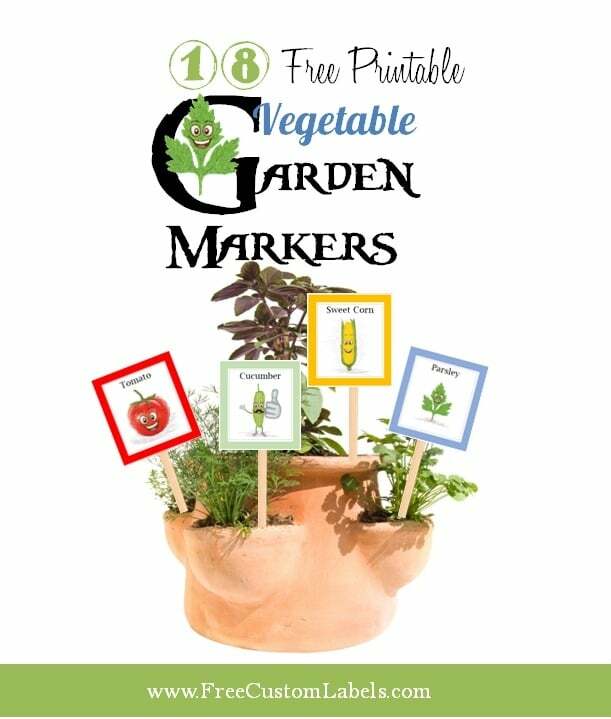 Free printable Vegetable Garden Markers to remember what you planted, record important data about the plant’s needs and to add color to your garden. 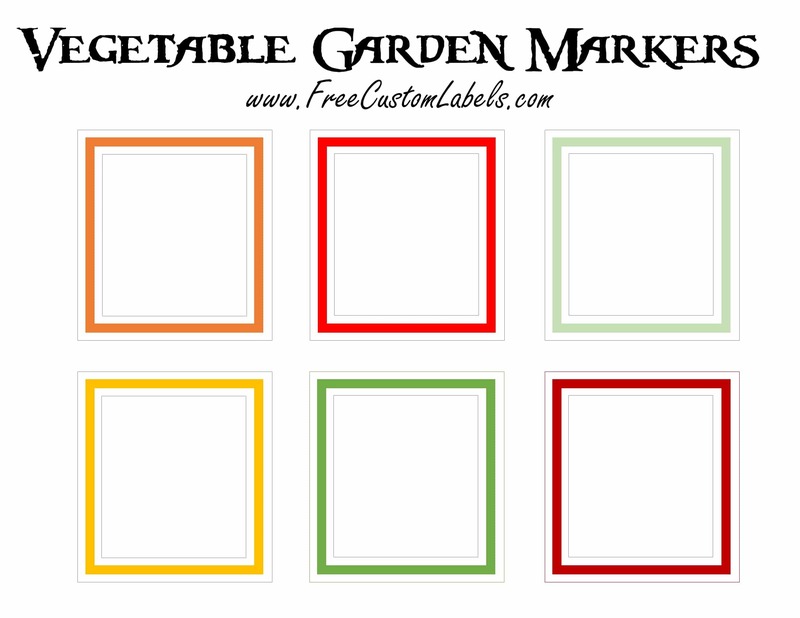 Use the blank labels to write notes such as how much water each plant needs and anything else you need to remember. 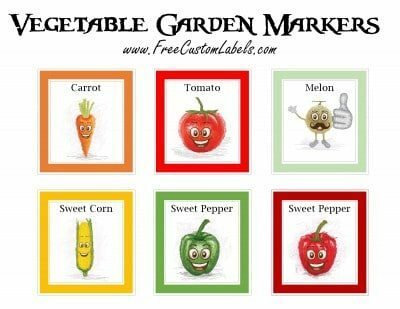 How to make printable vegetable garden markers? 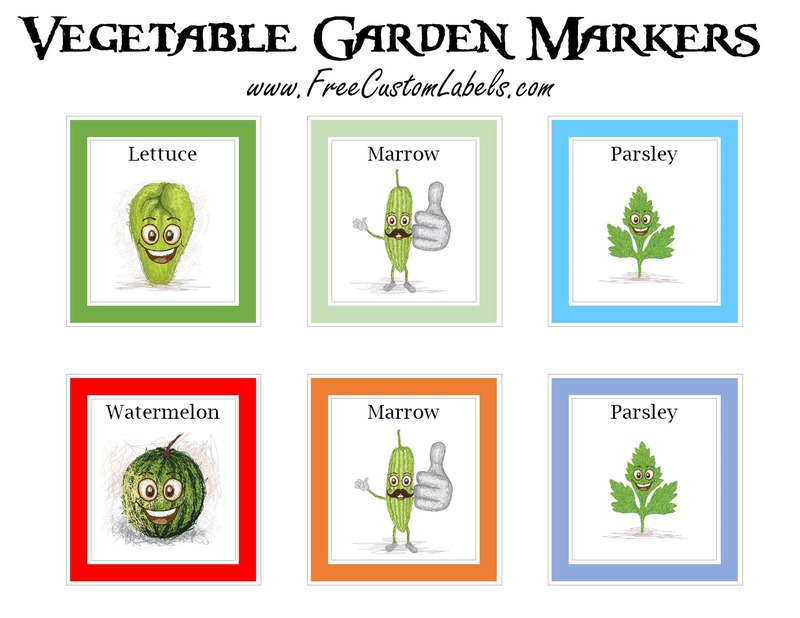 I created these custom labels with my kids. I allocated a small part of the garden for each child and took them to the nursery. Each child chose seeds and/or plants and created a vegetable patch with some flowers. 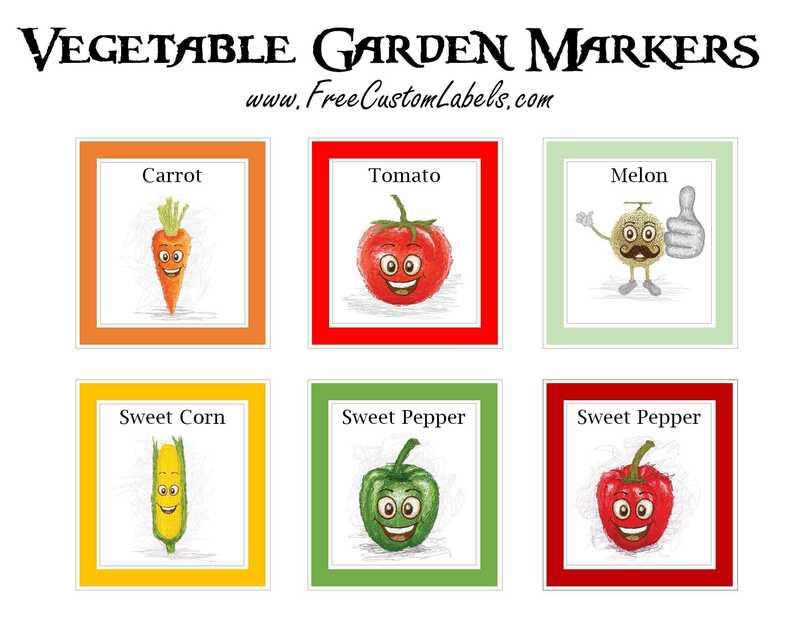 They printed the garden markers and cut them out by themselves. We then laminated the labels and they stuck an ice cream stick on the back of each label. 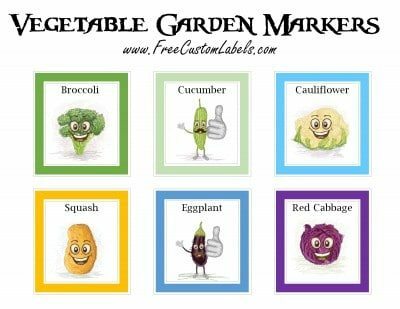 I also bought them some unique vegetable seeds for vegetables that you don’t see every day such as purple corn, purple tomatoes, yellow carrots, and many other strange vegetables. I bought the seeds online on EBay. 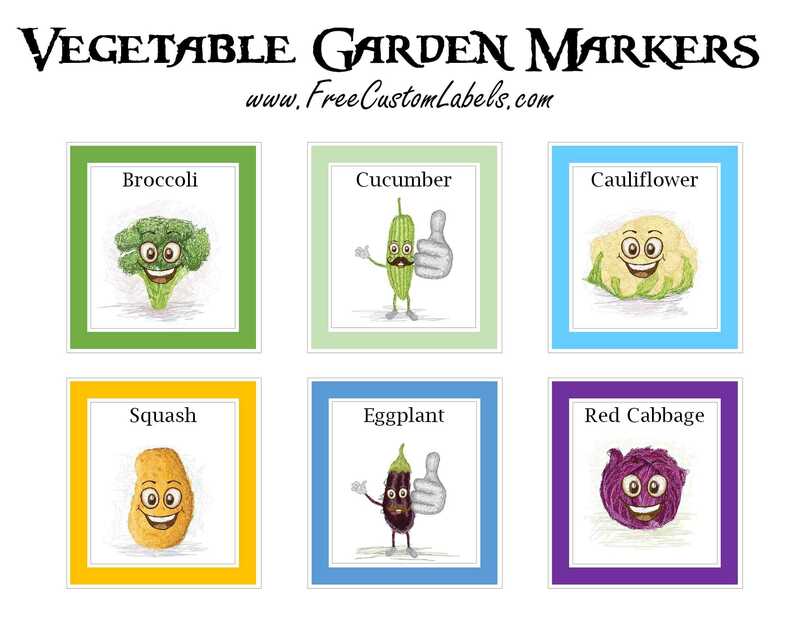 It was a fun project and eventually we even ate the vegetables that they grew. They were so proud! The problem with printable labels is that they tend to get ruined during winter when they get wet in the rain. 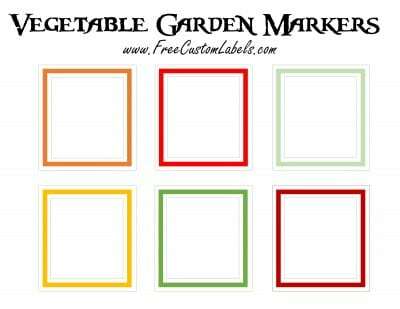 You can create waterproof garden markers you just need to use waterproof label sheets and/or laminate the custom labels before you use them. 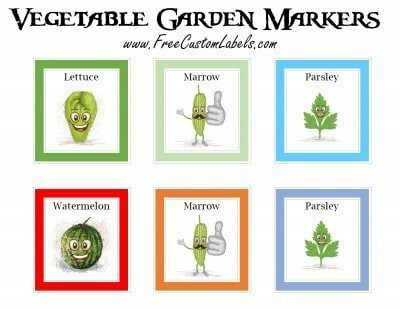 You can always replace the labels at the end of winter. Since they are free and cost practically nothing to create it isn’t such a big deal if you land up replacing some of them.